The Canadian Intellectual Property Office (CIPO) is a special operating agency of Innovation, Science and Economic Development Canada (ISED) and is responsible for administering Canada's system of intellectual property (IP) rights as defined in the Patent Act, Trade-marks Act, Industrial Design Act and Copyright Act. 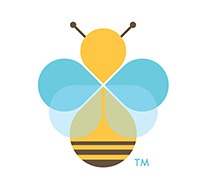 We have 1,000 employees and operate under a revolving fund authority. Our accountabilities are maintained through this annual report to Parliament, an annual private sector financial audit and our client service standards. In Canada, we have an ambitious agenda to help make our country a global centre of innovation. In the 2017 budget, the Government of Canada announced its Innovation and Skills Plan, which included the development of a national IP strategy. The strategy was unveiled on World IP Day on April 26, 2018. It will help Canadian innovators better understand, protect and leverage their IP and compete on the global stage. This vision is at the core of CIPO's new Five-Year Business Strategy (2017–2022), which positions IP as a crucial element underpinning Canada's innovation performance. CIPO's five priorities are to advance innovation, to deliver quality and timely IP rights, to build IP awareness and education, to offer a modern service experience and to foster an agile and high-performing organization. In 2017–2018, the first year of our five-year plan, we reached significant milestones toward the implementation of five international IP treaties for industrial design, trademarks and patents. We expect to complete accession to the Hague Agreement for industrial design in November 2018. We continued our advocacy on the international stage toward harmonization of the IP system, through the World Intellectual Property Organization (WIPO) and its various committees and bilateral agreements with other IP offices. Over the past few years, we have improved the quality and timeliness of our services. It should be noted that our Patent Branch received ISO 9001:2015 certification in June 2017, positioning CIPO among the world's leaders in the delivery of quality patent rights. 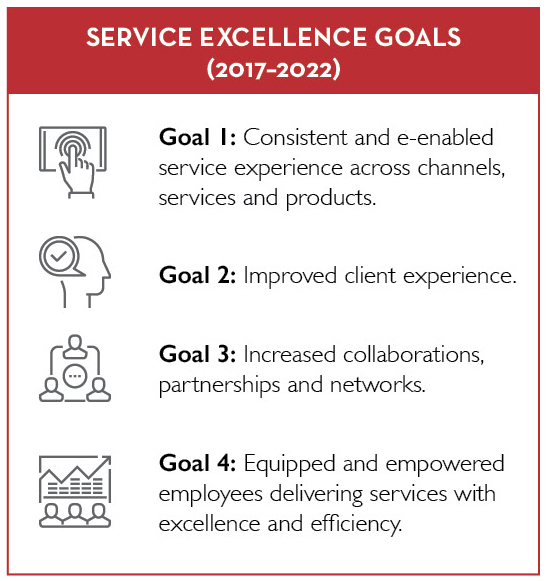 To support our business objectives, we launched a new strategy for achieving service excellence. We have increased dialogue with our clients and conducted a nationwide client satisfaction survey to guide our service improvement efforts. We are committed to building a culture of service excellence that puts clients at the centre of how we design and deliver our services. We launched our new IP awareness and education program in May 2017 to better equip Canadian innovators and companies to use IP as a strategic tool to help them grow and succeed in the marketplace. This innovative new program is part of the national IP Strategy and is being delivered in partnership with other organizations, including the National Research Council, the Business Development Bank of Canada and the Canadian Bar Association, to name a few. The commitment and skills of our workforce are key to our success. We continue to invest in employee development and talent management, and in 2017–2018, we started an active recruitment campaign to hire up to 60 new patent examiners over the next three to five years. As a team, we strive for success and excellence in serving our clients and are proud to help advance innovation and contribute to Canada's economic success. Our goal: A modern, efficient and accessible IP system that supports innovation in Canada and globally. Our business: Providing high-quality and timely IP rights and helping innovators understand and protect their IP in order to grow and prosper. Our five-year plan: Five strategic priorities that shape our activities from 2017 to 2022. Canada's Innovation and Skills Plan sets the Government's course for building a world-leading innovation economy that creates opportunities for the middle class and for all Canadians. One element of the plan is a comprehensive national IP strategy that ensures ideas and creativity are successfully commercialized and firms grow to scale with the help of their IP assets. The strategy recognizes the need to adapt to a changing economy by improving commercialization outcomes for Canadian businesses and supporting their growth. A modern and robust IP regime is essential to achieving this. Canada recognizes the importance of IP rights in building and supporting trade relationships. We are a strong supporter of increased harmonization of the global IP system. This is why CIPO has been diligently moving ahead to ratify five international treaties: the Madrid Protocol, the Singapore Treaty, the Nice Agreement, the Patent Law Treaty and the Hague Agreement. The coming into force of the Hague Agreement is expected in late 2018, with the implementation of the remaining treaties by 2020. Joining these IP treaties will support Canadian businesses looking to enter or expand their presence in international markets by providing them with a faster, simpler and more cost-effective way to acquire IP rights in multiple countries. Canada's membership in these treaties will also help attract foreign investment and facilitate international competitiveness and trade. In 2017–2018, CIPO led a series of public consultations on proposed amendments to industrial design and trademark regulations. The final regulations are expected to be published in 2018–2019 and are an important step toward treaty accession and the modernization of Canada's IP framework. In September 2017, CIPO also held pre-consultations for changes to the Patent Rules that will be available for public comment in 2018. Following the implementation of the Canada-European Union Comprehensive Economic and Trade Agreement (CETA) in September 2017, CIPO amended the Trade-marks Act to expand Canada's geographical indication (GI) system, previously limited to wines and spirits, to include agricultural products and food. A geographical indication is a designation used on products that have a specific geographical origin and possess qualities or a reputation that are due to that origin. Under the CETA, over 170 geographical indications were added to the list of protected GIs in Canada. As the responsible authority for administering Canada's GI system, CIPO developed new administrative procedures in consultation with Agriculture and Agri-Food Canada and Global Affairs Canada and implemented system changes and processes to accept the new types of GI applications and administer objection proceedings. These changes benefit consumers by providing more assurance on the origins and authenticity of agricultural products and foods. On the international stage, CIPO maintained an active agenda, representing Canada's interests in discussions of IP law harmonization, exchanging best practices with our counterparts and providing technical assistance to help other countries develop their IP offices. 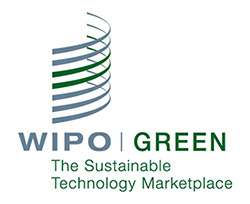 WIPO GREEN is an interactive marketplace that promotes innovation and the diffusion of green technologies. It does this by connecting technology and service providers with those seeking innovative solutions. We actively collaborated with member states of the WIPO and held valuable exchanges with the IP offices of the European Union, France, Japan, the Philippines and India, resulting in memoranda of understanding (MOU) and work plans for future engagement. As a member of the Vancouver Group, which comprises the IP offices of Canada, Australia and the United Kingdom, we continued efforts to support the harmonization of substantive patent laws, as well as projects of mutual interest. Having recognized the importance of innovation in green technology and of action on climate change, we signed an MOU to participate in WIPO GREEN, an interactive marketplace that seeks to promote the diffusion and transfer of green technologies. In 2017–2018, we renewed our membership in the Global Patent Prosecution Highway pilot and established a bilateral Patent Prosecution Highway (PPH) agreement with Taiwan, bringing the total number of Canadian PPH agreements to 29. The PPH provides applicants with the option for accelerated processing based on shared search/examination-related information from one of the other participating offices under unified criteria. We proudly hosted the 20th annual CIPO-WIPO Executive Workshop in May 2017. Leveraging our unique position as a bilingual IP office, we welcomed representatives from IP offices from developing French-speaking countries to discuss, among other things, the application of management techniques in the delivery of services to effectively run their offices. To advance innovation in Canada, Canadian businesses and individuals need assistance in identifying opportunities that will help them grow and compete in the global economy. To that end, it is vital that innovators and policy-makers understand the context in which they operate. To support this, CIPO conducts economic research to build a knowledge base upon which sound decisions can be made. In 2017–2018, we released several publications on various topics, including the participation of women in patenting, patented climate change technologies inventions and the patent landscape for shale oil and gas. We also published our second IP Canada Report in 2017, presenting key economic and IP trends in Canada. 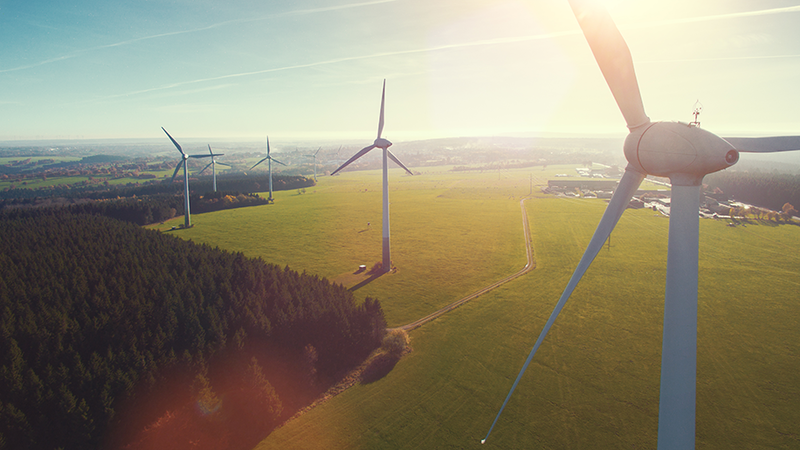 The adoption and development of energy-saving technologies is a key priority of the Government of Canada. Having created a way to identify climate change mitigation technologies patents, CIPO conducted a comparative analysis of high-value inventions to provide a view of patenting by Canadian researchers and businesses in this area. Researchers were found to be patenting climate change mitigation technologies at a rate higher than the national average, whereas businesses and institutions were lagging. 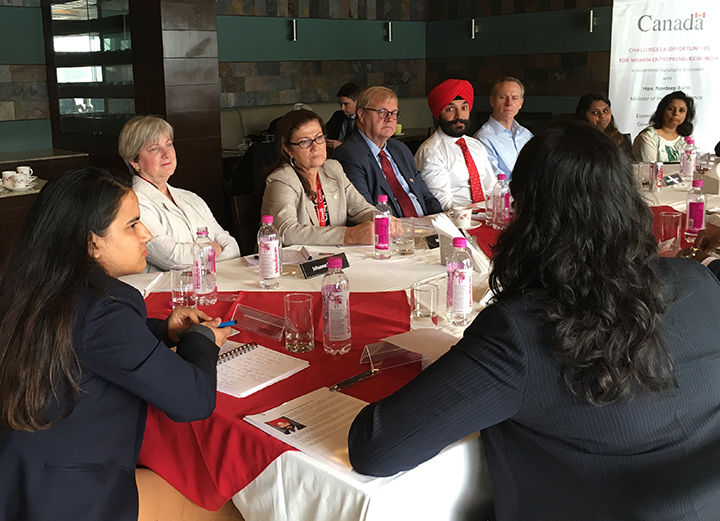 Further research will help to define the technology areas in which Canadian researchers and businesses have an advantage. Quality and timely IP rights are the backbone of a well-functioning innovation system. They create certainty in the marketplace and enhance the ability of a business to secure financing or attract investment. Through the consistent and continuous improvement of our services, CIPO ensures that clients receive the IP rights that will help them succeed. The ISO is the world's largest purveyor of internationally recognized standards for quality management systems. The certification serves as a safeguard to clients, ensuring that products and services conform to the internationally recognized standard. The International Organization for Standardization (ISO) is an independent body that has set a standard for quality management (ISO 9001:2015). 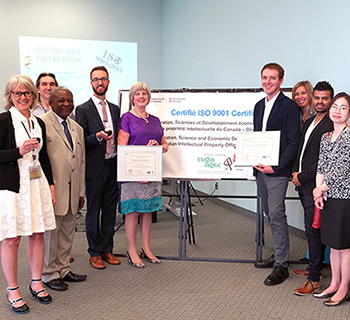 Having instituted a strong client focus and a process for continual improvement, our Patent Branch was certified as being ISO compliant as of June 2017. This achievement positions Canada among the world leaders in the delivery of quality patent rights. Building on this success, CIPO has begun implementing an organization-wide quality management system for our Trademarks Branch and our Copyright and Industrial Designs Branch. We are working to lessen the administrative burden for clients by simplifying the application process. Provisions in the Patent Act that obligated foreign patent applicants to appoint a Canadian representative were repealed in September 2017. This has reduced costs and eliminated a potential barrier to IP protection for applicants in Canada. Following the success of our patent examination interview service pilot in 2016–2017, we have launched the service throughout the Patent Branch. Applicants can now speak directly with our examiners to better understand how to treat deficiencies in their application in situations where granting of the patent is likely, which accelerates the examination process. Looking ahead, we will undertake a comprehensive review of our service standard commitments with input from clients and stakeholders to ensure they reflect marketplace needs and expectations. In 2017–2018, CIPO received more than 34,000 patent applications and granted more than 24,000 new patents. Foreign applications continued to account for the majority of applications, most of which came in through the Patent Cooperation Treaty, which allows one application to cover multiple countries simultaneously. The time between a client's request for examination and the moment a patent is granted reached an average of 33.6 months in 2017–2018, down 3.1 months from the previous year and down from 42.7 months in 2013–2014. Process efficiencies such as the digitization of paper-based processes for client correspondence have contributed to improved timeliness. Changes to the Manual of Patent Office Practice (MOPOP) improved clarity for correspondence procedures and the patent examination interview service by providing guidance and improving consistency in the patent examination process. CIPO also engaged a variety of patent stakeholders throughout the year, including members of the Intellectual Property Institute of Canada (IPIC), to obtain input on legislative changes for Patent Law Treaty implementation, updates to the MOPOP and international patent law harmonization. In 2017–2018, our Patent Appeal Board, which provides an independent review of rejected patent and industrial design applications, added capacity and increased process efficiency to deal with a recent rise in cases referred to the Board. Over the last three years, the Board received an average of 77 referrals, more than double the number received in the previous three years. The volume of trademark applications at CIPO has been steadily rising, reaching more than 60,000 in 2017–2018, which represents an increase of over 8% from the previous year. Turnaround times in 2017–2018 were 28.2 months on average, up from 26.5 months in 2016–2017, as a result of increased volumes and efforts to improve the quality of trademark rights issued. To address the rise in trademark applications and to meet its performance targets, the Trademarks Branch expects to recruit new trademark examiners in 2018–2019. The Trademark Practice Committee, comprised of members from IPIC and from CIPO's Trademarks Branch, met in April and September 2017 to advance innovative practice approaches and develop solutions that support a robust trademark application and registration process in Canada. The Trademarks Opposition Board hears cases where an opponent objects to the registration of a trademark in Canada. In 2017–2018, the Board received 887 oppositions and issued 92 decisions. Industrial designs are becoming increasingly important in a design-conscious economy and are a fundamental element of the growth of innovative companies. In 2017–2018, the volume of industrial design applications increased to more than 6,600, representing an 8% rate of increase—the same rate as that observed for trademarks. The average turnaround time from filing to registration was 10.5 months, compared to 9.8 months in 2016–2017. To increase efficiency, we updated our work tools to improve the quality of correspondence and to standardize our searching method. We also launched an initiative to optimize the end-to-end registration process of an industrial design. In May 2017, the Industrial Design Office Practice Manual was updated to improve service and align practices with international norms. Updates included topics such as colour as a registrable feature and computer-generated animated designs. CIPO's goal is to ensure that Canadian innovators and businesses realize the benefits of IP as an enabler of innovation. 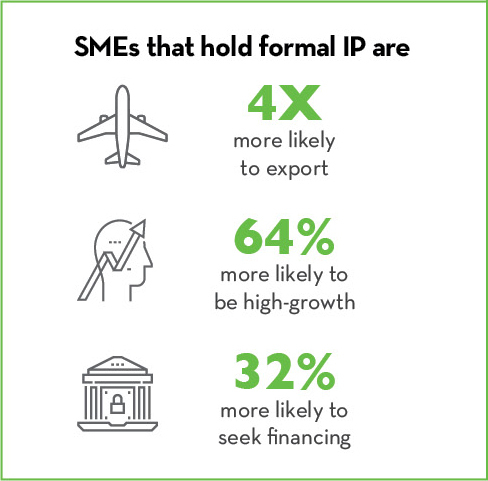 Fully leveraged IP rights can help them access new opportunities for growth and success in the marketplace. Canada's national IP Strategy was unveiled on World IP Day on April 26, 2018, to coincide with the annual celebration of IP and its role in stimulating innovation and creativity. CIPO's IP awareness and education program is a key part of that strategy. 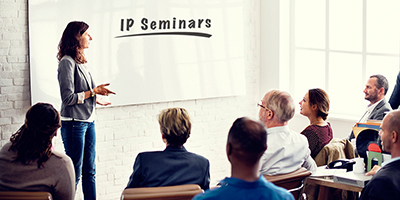 Under the banner of the IP Academy, we launched a series of seminars designed to educate SMEs on the benefits of IP protection and having an IP strategy. The sessions are open to the public and delivered by IP experts from CIPO and partners from our growing network. Launched in May 2017, our new IP awareness and education program has the mandate to provide Canadian businesses and innovators with the information, tools, resources and advice they need to make the most of their IP. It has three components: IP for Business, IP Academy and IP Hub (to be launched in 2018–2019). In its first year, our program has produced a number of new IP tools, including a series of fact sheets to help export-ready Canadian companies understand how to protect their IP assets in foreign markets (i.e. China, India, the United States and the European Union); informative videos on the basics of IP; and "IP roadmaps" that simplify the steps for patent protection and trademark and industrial design registration. We held 150 seminars across Canada with a total of 1,900 participants, covering topics such as the foundations of IP, patents and trademarks, how to develop an IP strategy and how to protect your IP in China. Our small network of IP advisors across Canada helped small or medium-sized enterprises (SMEs) and innovators better understand the value of IP and also provided expert information and advice at large fairs and events, including the 2017 Discovery conference hosted by the Ontario Centres of Excellence in Toronto, the 2017 Stratégies PME conference in Montréal and the 2018 GLOBE Forum in Vancouver. Our participation in these events helped Canadian innovators to better understand and exploit the benefits of IP. Our IP awareness and education program offerings are a collaborative effort. We work with interested parties to deliver our programs, collaborate on joint products and activities and embed IP concepts into their existing product and service offerings. In our first year, we negotiated more than 25 partnerships with a range of organizations, including the National Research Council, the Business Development Bank of Canada, business associations such as the Canadian Chamber of Commerce and the Canada-China Business Council, and the Canadian Bar Association. Through our IP awareness and education program, we are making it easier for businesses to access IP resources, tools and advice. Last year, we held 150 seminars reaching over 1,900 participants to ensure that IP is better understood and more strategically used by Canadian businesses, creators, entrepreneurs and innovators. CIPO's service strategy (2017–2022) is centred on increasing client satisfaction and offering e-enabled services. In 2017–2018, CIPO laid the foundation to begin the systematic collection of client feedback, enabling continuous service improvements driven by client input. In January 2018, we gathered the views of clients and stakeholders through a series of focus groups. The insights from these focus groups informed a nationwide client satisfaction survey for our patent, trademark and industrial design services. The results of the survey, which was conducted between February and April 2018, will be published in the fall of 2018. They will provide a baseline for client satisfaction and identify areas for service improvement based on clients' needs. 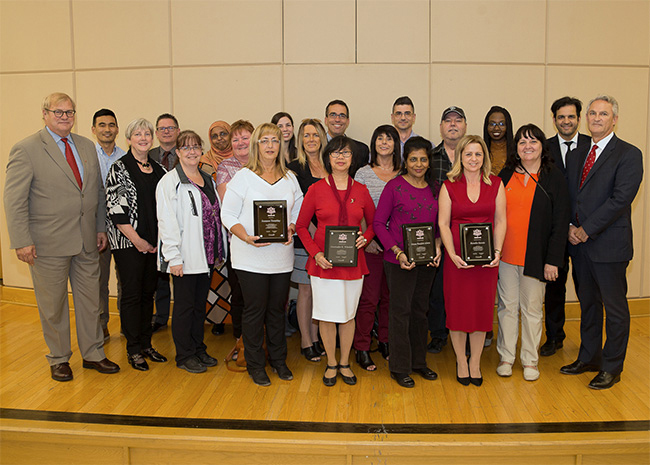 In December 2017, CIPO's Incoming Correspondence Unit (ICU) was awarded the first Deputy Minister Award of Merit for service excellence. Having used LEAN methodologies to decrease correspondence processing time from ten days to two days between 2015 and 2017, the ICU supports customer service excellence by ensuring that applications make it into the hands of examiners sooner. In 2017–2018, our Client Service Centre received more than 48,000 enquiries and met its service standards 99% of the time. CIPO is committed to reaching its performance targets for all of its key services, which are available on our website and reported against annually. We continue to invest in training programs for our staff to maintain and strengthen a culture of service excellence. In February 2018, we piloted a service excellence training program in conjunction with the Canada School of Public Service. We expect to roll out this training as part of our employees' learning and development plans in 2018–2019. CIPO continues to modernize its services. Among them are an updated website and Canadian Trademarks Database, which have both been given a contemporary look and feel. Information is also now being presented in a more searchable and accessible way. A new IP awareness and education digital space allows clients to register and manage their participation in events, seminars and training, to customize their own IP tool kits and to order IP resource materials online. We have extended our digital reach through new and exciting web content, online videos and an increased social media presence. At the heart of what we do is a team of dynamic professionals dedicated to supporting and protecting innovation in Canada. CIPO has established a reputation as a respected and desirable place to work. Results from the 2017 Public Service Employee Survey indicated a strong performance in a number of areas, including talent recruitment and the work-life balance. As an organization, we constantly challenge ourselves to think innovatively about our talent, our workplace and our management practices. LiveWorkPlay is a Canadian charitable organization that provides opportunities for people with intellectual disabilities to live, work and play as valued citizens. Since 2017, through LiveWorkPlay, we have been connected with four candidates who are currently employed at CIPO and share with us their many gifts and talents as valued co-workers. Attracting and retaining a diverse group of highly qualified employees is critical to delivering a high level of service and meeting the needs of our clients. In order to recruit highly trained engineers and scientists from across Canada who meet our need for expertise in various technical areas, CIPO refreshed its recruitment efforts by focusing on the proven qualities of a successful IP examiner. Using social networks and targeted online events to complement traditional means of recruitment, CIPO hired a first cohort of patent examiners in October 2017. A second cohort is set for 2018–2019. Recruitment thus far has tapped into a range of talent pools in Canada aimed at increasing employee diversity in jobs related to science, technology, engineering and mathematics (STEM). In total, 60 new patent examiners are expected to be hired over the next four years. In March 2018, CIPO launched a new training and professional development framework designed to assist managers and employees in identifying individual training needs and devising tailored learning plans. We continued to help our employees with their professional development through a mentoring program to foster knowledge sharing by providing developmental work experiences and cross-training and by offering tailored orientation and training to new examiners. We actively promote the use of both official languages in the workplace. In 2017–2018, more than 125 employees received official language training supporting their professional development and their ability to offer bilingual service to the public. We also developed a strategy to increase the official language fluency of employees in managerial and supervisory positions, which will be implemented in 2018–2019. We advanced diversity and inclusion as part of our workplace culture by hosting various awareness-raising events for topics such as the International Day of Pink, Aboriginal Awareness Week and Mental Health Week. Workplace wellbeing and mental health are a federal government priority—one that CIPO fully embraces. In 2017–2018, we held regular events to foster a healthy and respectful workplace, reduce the stigma surrounding mental health and bring attention to the resources available to support employees. Over the last couple of years, CIPO underwent a program evaluation of its patent services and internal audits of its trademark operations and information technology (IT) modernization program. While the results were positive, a number of areas were identified where performance could be improved. In response, we have taken action to further reduce turnaround times for patent applications in certain market segments and have increased the promotion of the accelerated examination processing options available to clients. We also developed a long-term plan for the processing of trademark applications that aims to streamline operations and increase employee capacity to improve service quality and timeliness. We have taken measures to strengthen the governance and monitoring of IT projects, proposing systemic improvements to how IT testing is managed. Demonstrating our continued sound financial management practices, CIPO received an unqualified financial audit opinion from an external auditor in 2017–2018. Our yearly financial audits ensure that we are compliant with the annual reporting requirements for revolving funds described by the Receiver General for Canada and that we are operating as intended. In 2017, CIPO ran a number of initiatives to recognize the 150th anniversary of Canada's Confederation. 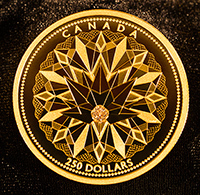 In partnership with the Royal Canadian Mint, we created a commemorative coin featuring a Canadian industrial design to celebrate all the inventions Canadians have patented to enrich people's lives, of which there are more than a million. CIPO supports innovation through quality and timely IP rights and by sharing the knowledge it generates. Our goal is to encourage invention, discovery and commercial success for Canadians. As we continue the work to join five international treaties and improve Canada's IP regime, we are opening the door for Canadian businesses to expand globally, confident in the protection of their creations. Our service strategy, coupled with upgrades to our IT infrastructure, will improve how we interact with and support our clients, establishing a modern platform for an integrated service experience across channels, products and services. We are committed to ensuring that Canada's IP system supports all players in the innovation ecosystem—that Canada's businesses and entrepreneurs are aware of the value of IP and are equipped to make the most of their creative endeavours to grow and compete.